Nicholas Algot Swensen, started playing the viola at the age of 7. 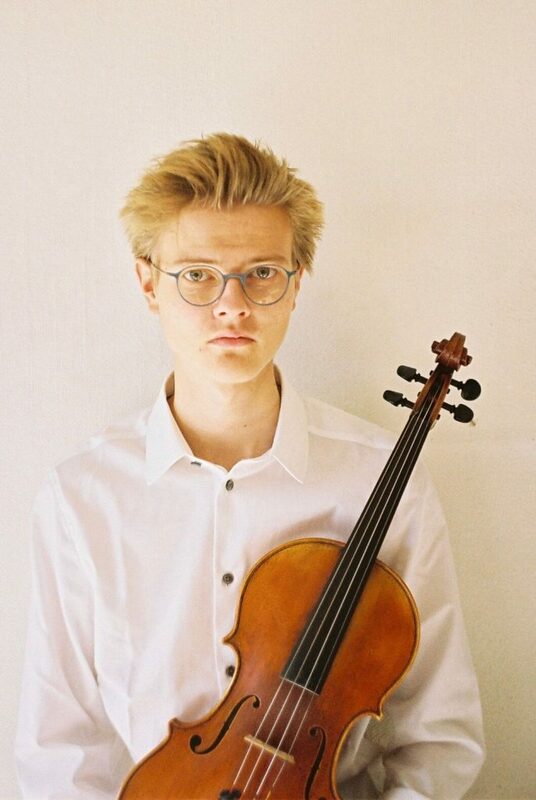 His first studies were taken with the former professor at the Menuhin academy Johannes Eskær.At the age 15 he joined the class of prof. Barbara Westphal at Lübeck Musikhochschule and is currently studying at the Royal Danish Academy of Music with Lars Anders Tomter. In 2019 he won the 1st prize in Øresunds Solist competition and in the same year he was a prize winner of the international Max Rostal competition in Berlin (Universität der Künste). Nicholas has been awarded numerous prestigious prizes in his home country, Denmark, e.g. the Copenhagen Summer Festival talent prize (in 2018) and grants from Folmer Jensens foundation, Augustinus Fonden (in 2018), Van Hauen Stipendium (2017) Berlingske Foundation (2015) and Jacob Gade Foundation (2015). He has participated in several (chamber) music festivals around the world including Music@Menlo in California, Accademia Isola Maggiore in Italy with prof. Ettore Causa, and Oberstdorfer Musiksommer and has performed chamber music together with prominent groups and soloists such as The Danish String Quartet, Trio Con Brio and Nils Mönkemeyer. Furthermore, Nicholas has taken part in masterclasses held by Pinchas Zuckerman, Kim Kashkashian, Jean Sulem, Roberto Diaz and Heidi Castleman. In 2017 he performed Mozarts Sinfonia Concertante at the concert hall of Tivoli Gardens in Copenhagen with the chamber orchestra ARCO. Besides viola playing Swensen currently studies conducting at the Malko conducting school of the Danish Radio. If you are interested in working with Nicholas, please get in touch with the EMCY Office.